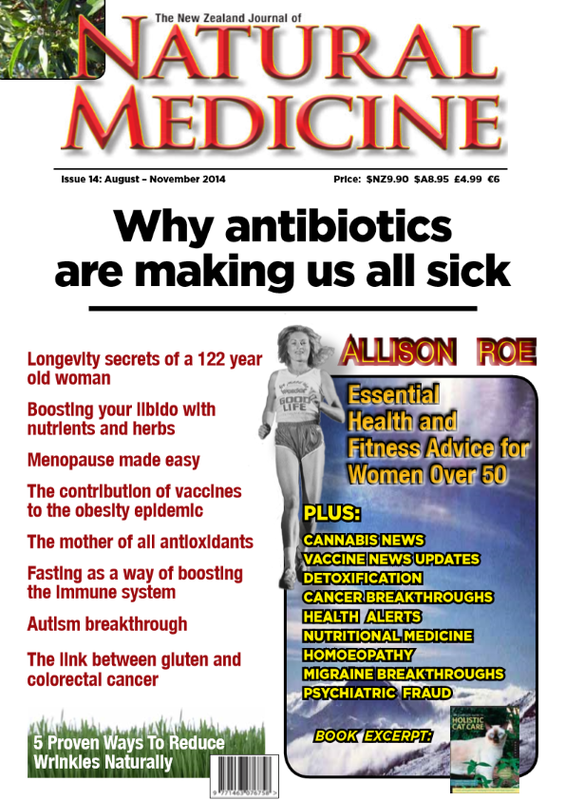 Allison Roe strides out on the cover of the new issue (#14) of The NZ Journal of Natural Medicine. Famous for winning the Boston and New York marathons, Allison Roe, MBE has been active for many years in health fundraising roles and raising awareness of breast health issues. Her inaugural column focuses on mid-life fitness. Continuing with the theme of taking responsibility for your own health, this issue features guest contributor Clinical Nutritionist and Medical Herbalist Angela Frieswyk who teaches readers how to make home remedies for common ailments. Have you been tired or depressed? Or perhaps wondering why you (or a friend) have a poor memory? 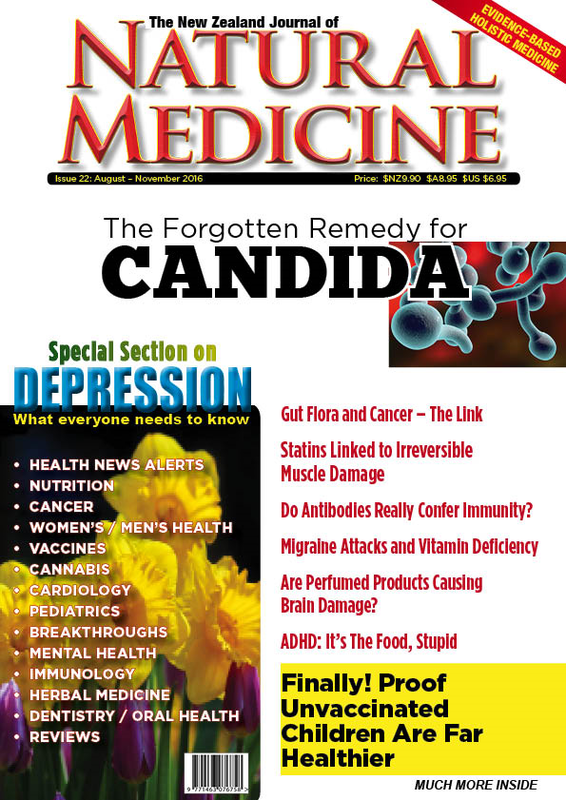 This issue features an article by Dr. Kelly Brogan on vitamin B12 and the crucial contribution this vitamin makes to maintaining normal brain function. Still on the subject of brain health, Sayer Ji, Ph.D discusses new research that shows that turmeric can help protect the brain from the toxic effects of fluoride – and why this often underrated culinary herb may offer hope to people with Alzheimers. Do you (or a friend or relative) have a child who is autistic? Issue 14 features a review of one of the best-ever books on treatment options for people with autism – Dr. Martha Herbert’s The Autism Revolution. Also in this issue, electro-pollution expert Paul Waddell reviews the documentary “Science, Microwaves and Lies”. This documentary follows the struggle of a local community to oppose the erection of a cell phone tower in their neighbourhood and makes compelling viewing. The new electronic “smart meters” being introduced to measure electricity use have been in the news recently. 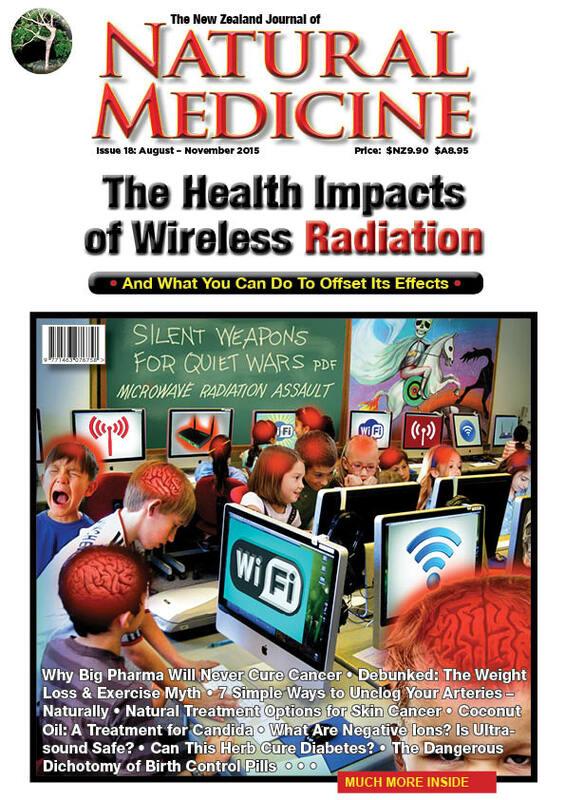 This issue features an update on the “smart meter” situation, including some of the commonly reported adverse effects from these microwave radiation-emitting devices, and the tricks used by electricity companies to make people think that they have to have a “smart meter”, when there is no law that requires consumers accept them. “Menopause Made Easy”by naturopath Tina Gale is one article not to be missed, as it explains what the problems are as well as the solutions for common mid-life symptoms. 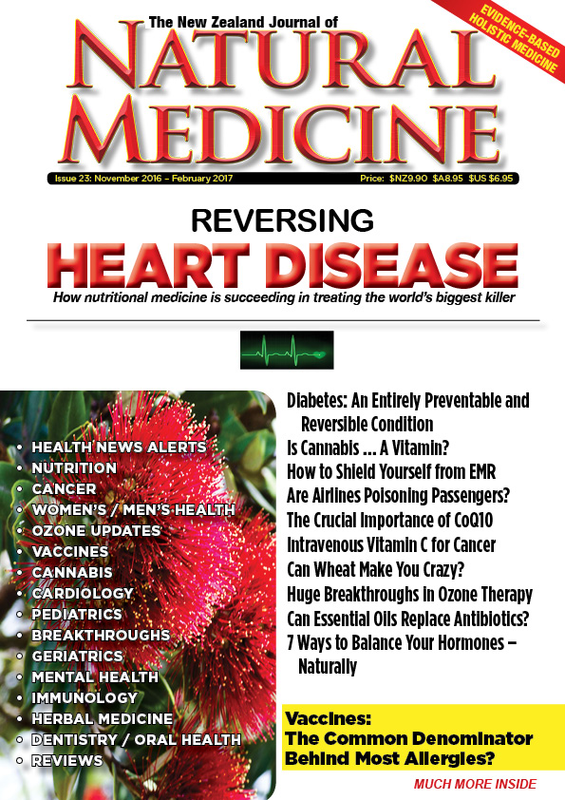 The NZ Journal of Natural Medicine is always 100 pages of essential – some would say “life saving – information that never goes out of date. Always thorough, yet always accessible.